We help companies craft modern digital workplaces on the Microsoft cloud. 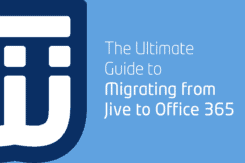 Consolidate platforms (like from Jive), lower infrastructure costs and get value from innovation at Microsoft. Build an award-winning SharePoint Intranet leveraging workflow, doc generation, search and social. 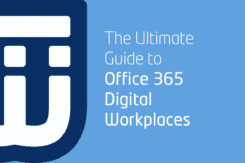 There’s no need to be ashamed of your Office 365 Digital Workplace – let’s bring it into modern times. We are passionate about building custom line-of-business applications leveraging Azure, Office 365 and SharePoint. Lower costs & reduce risk w/ multi-year agreements to support upgrades and updates with superior support. Established in 2001,we are based out of Alpharetta, Georgia (the Technology City of the South). 1. Control – We provide the structure for our clients to control priority of features and budget throughout the lifetime of the project. 2. Choice – Because we deliver working software every two weeks, we earn our client’s business every two weeks.